Sold in 191 outlets nationwide including 41 Eason & Son bookshops, 38 Tesco Extra/Super Stores and also The National Museum of Decorative Arts & History, Collins Barracks, Dublin. 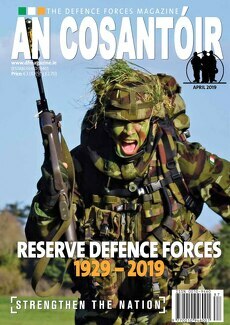 Your advertisements will appear in both the printed and online magazine; the online version will place you on both www.military.ie & www.dfmagazine.ie websites. Providing you with direct traffic from the advertisement within the magazine to your email and website. Have access to powerful statistics for your advert online. An Cosantóir rates for print and online version are available on request to Joseph Nazari of JM Publishing. Discounted rates are available to new customers or for serial advertisements (5 or more). JM Publishing & Media works with organisations within the public service and private sector, producing websites, mobile applications, e-magazines, e-brochures and e-reports. Creativity, imagination and our clients’ goals is at the heart of our business. Supply copy as high-res .PDF files at 300dpi with all fonts included. Files to be CMYK in print-ready format. Send to magazine@military.ie or supply on CD. 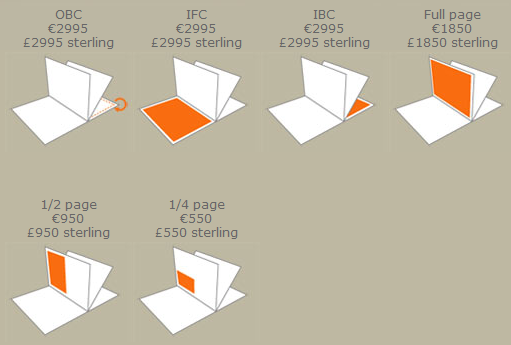 Alternatively, copy can be designed by agency on agreement.